San Fabian - 20 February. 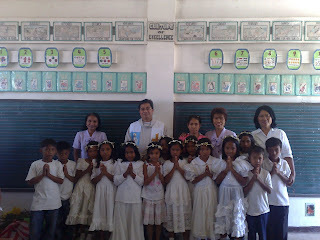 First Communicants of Ambalangan Dalin Elementary School with the teachers and catechists. San Fabian - 19 February. 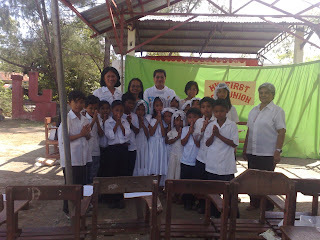 San Fabian - 18 February. 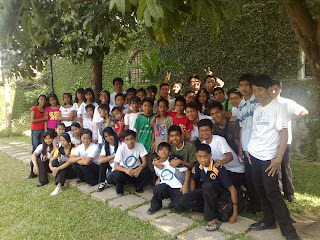 San Fabian - 16 February 2009. San Fabian - 16 February. 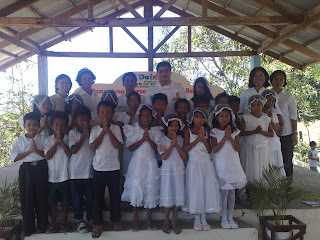 New recruits from the pupils of North Central Elementary School of Barangay Tempra-Guilig attended their first meeting with the Ministry of Altar Servers last 14 February at the Parish Church where they regularly hold their meeting every Saturday afternoon. Bro. 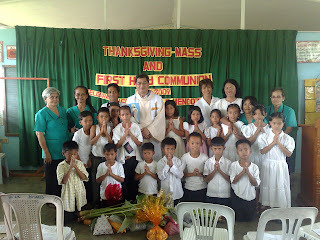 Andrew de Vera, the Captain of the Altar Servers, invited the new recruits during the occasion of the First Confession and Communion of the pupils in the same school. The response was unexpectedly positive. The continuing invitation to young girls and boys to join the Ministry of Altar Servers is one of the program projects of the group. 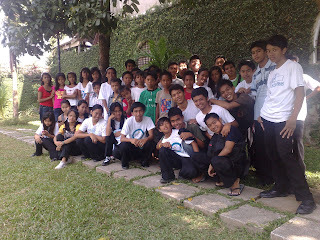 The Altar Servers hold another meeting at the Rectory Garden every Sunday morning after the 8 AM mass. 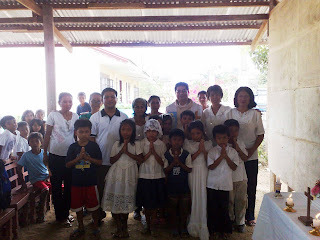 The week saw us going to Cabaruan Elementary School (9 February), North Central Elemntary School (Guilig) (11 February) and Binday Elementary School (12 February) for the First Confession and Communion of the Grade Three pupils. 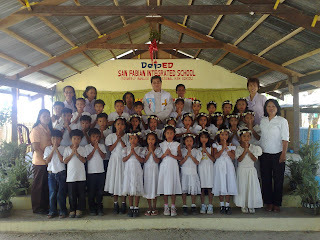 The Grade Three pupils of Lekep Elementary School with Rev. Fr. 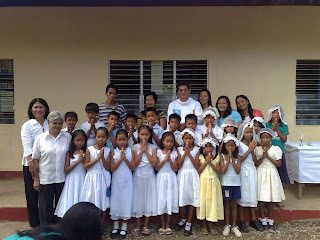 Oliver E. Mendoza, parish priest, Mr. Reinerio D. Prestoza, Head Teacher and some of the Parish Catechists. 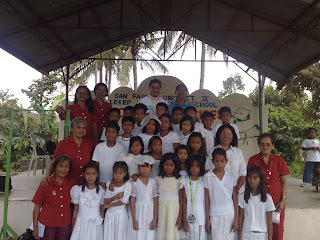 San Fabian - 6 February. 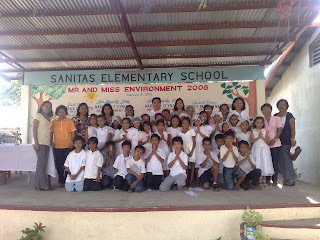 Lekep Elementary School of Brgy. 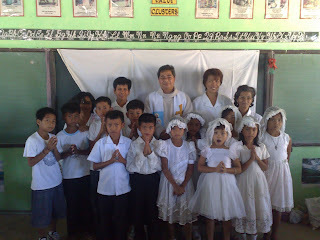 Lekep-Butao, was the first school to have its Grade Three pupils receive the Sacrament of Reconciliation for the first time. 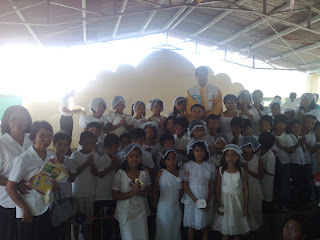 These nine and ten year old children then received their First Communion in the Eucharist celebrated by Rev. Fr. 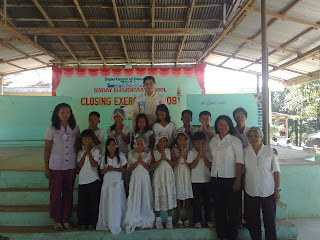 Oliver E. Mendoza, the parish priest. 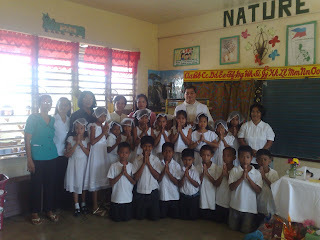 This marks the end of a year long Catechetical instruction given by the Parish Catechists to 31 public elementary schools of the town. 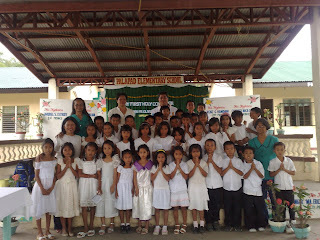 Included among these schools are the East and West Central Elementary Schools located at the Poblacion area of the town. 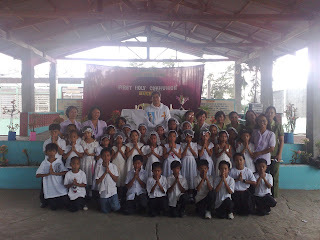 The major activity of the catechetical program of the parish is the teaching of the catechism to the public elementary school children in all the Grade levels. Pupils in the Grade Three are prepared to receive the Sacrament of Reconciliation and Communion for the first time. 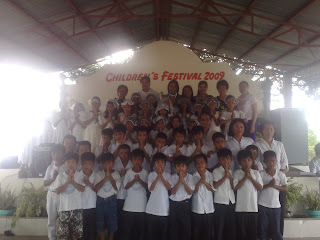 It is noted that by March 14, the schedule of the First Confessions and Communion would be finished.